Carmichael achieves a signature level of detail and sharpness in his work using a combination of techniques - notably, focus-stacking and photo-mosaics, in which many images are meticulously pieced together to create a singular photo in optimal focus. In production, Carmichael favors laser-printing on crystal archival substrate with microscopic crystals on the surface. This unique material gives prints exceptional vibrancy, saturation and a 3D quality when lit. Prints are then seamlessly adhered to UV protected acrylic, an ideal choice for preservation. 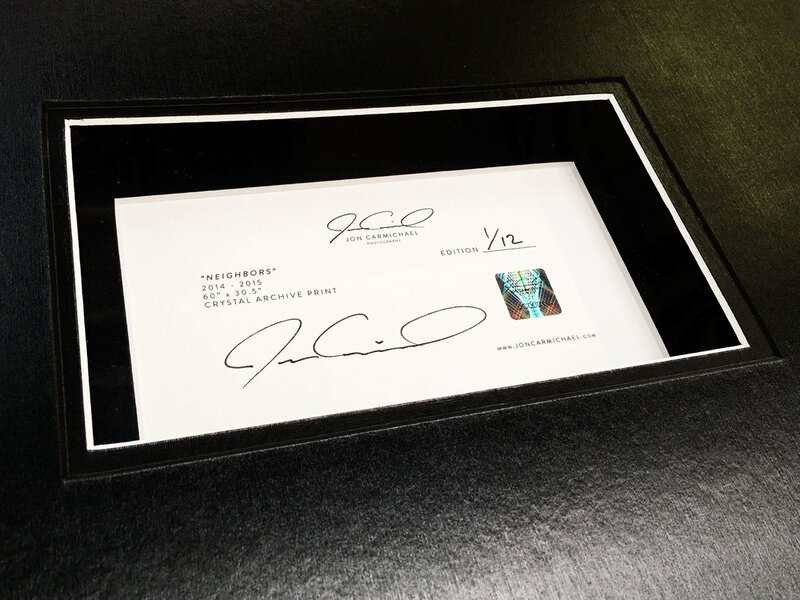 Adhered to the back of each limited edition print is a certificate of authenticity which is dated, numbered, signed, and includes a holographic serial number. Subscribe to our newsletter to get the latest announcements, news, and updates.